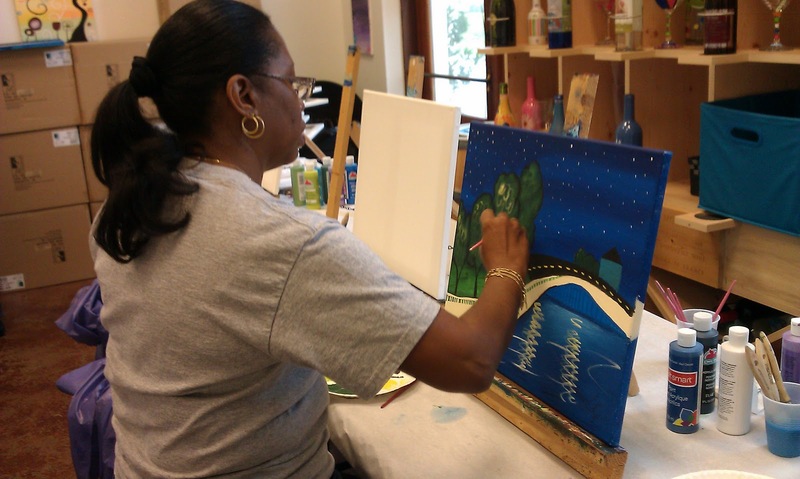 Sketch & Sip… my team leader suggested it as our next team outing, which was today. What a great idea!! 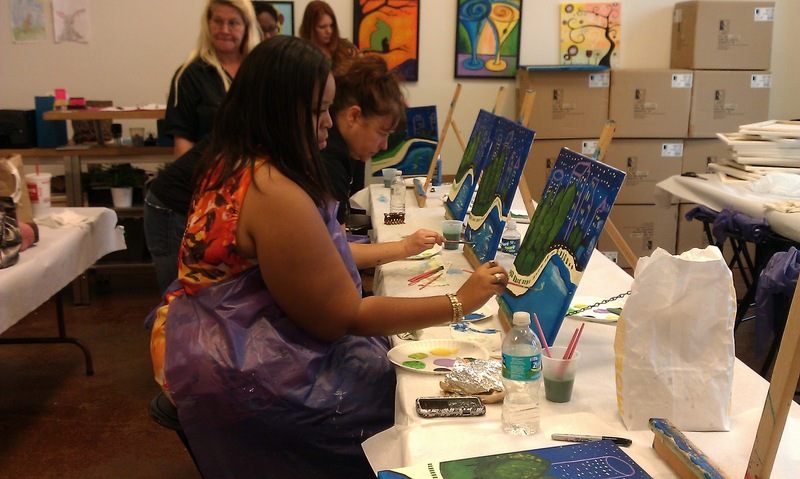 We try to have a team outing at least once or twice a year, to reduce job stress and strenghten our bond. 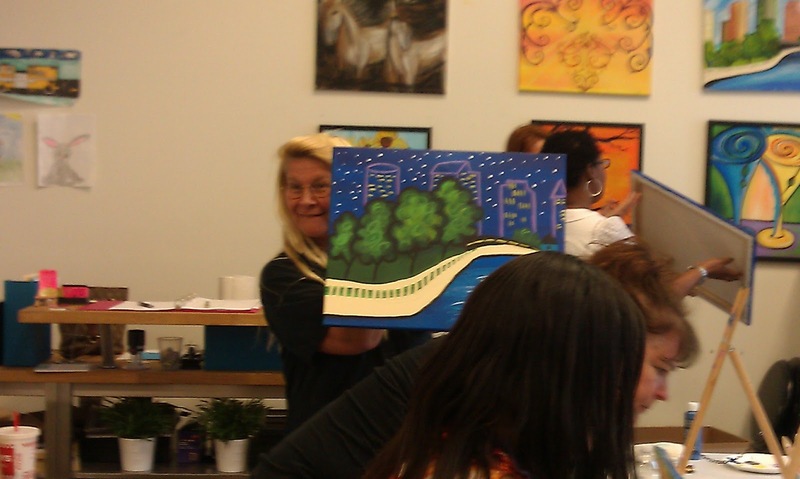 The instructor showed us how to paint each part of the painting, Tampa Bay Skyline, line by line. 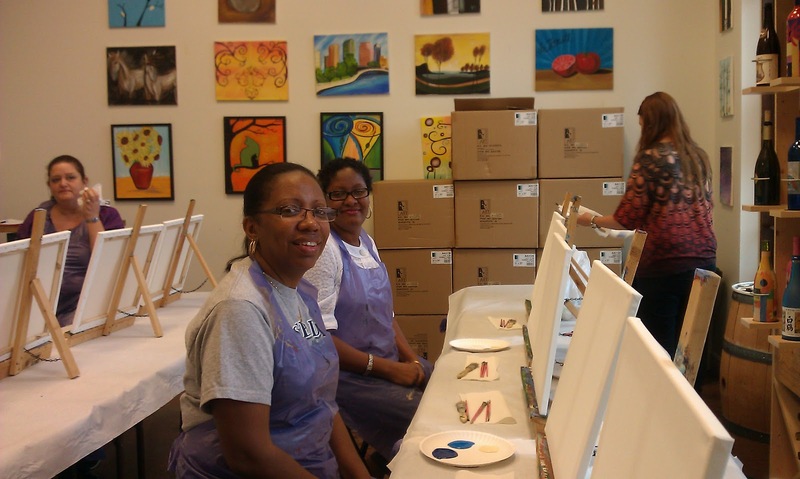 We all used the same colors and looked at the same sample painting, but each of our paintings were unique. 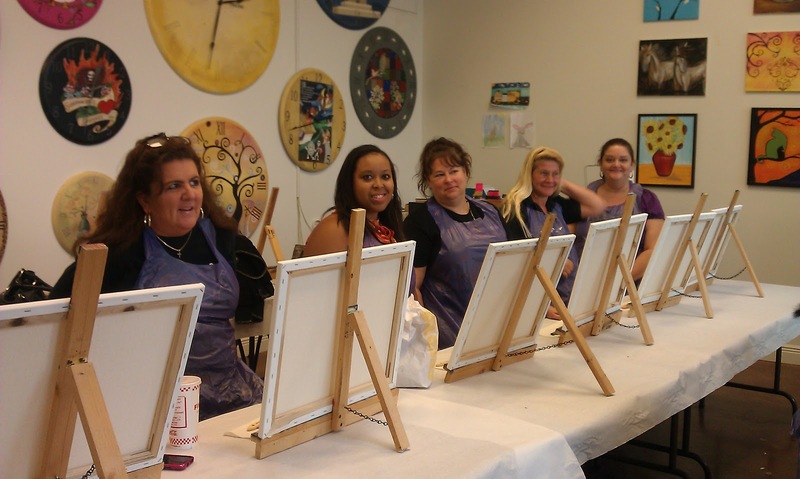 I usually sketch and sip by myself at home, but to paint in a group was so much fun. They ALL look great!